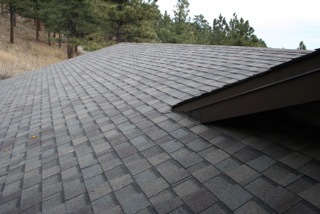 When we purchased our home in Lake of the Pines, we did so for the location, not for the house. 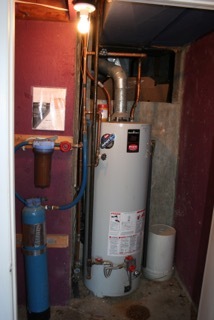 The crazy 1975 design included 2 oversized gas furnaces that short-cycled so often the house would never get warm. Access to one was through a 20"x20" hole in the foundation wall four feet above the basement floor, while the other, located next to the master bedroom, sounded like an airplane taking off every time it came on. 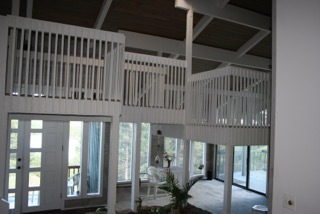 Most of the windows were single-pane and leaky, and most of the beautiful view of the lake through them was blocked by a catwalk. With ants and wasps living year round in the roof, not to mention rodents showing up every few months in the basement, we had no intention of tolerating the status quo. 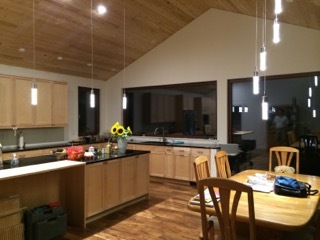 Our passion for energy efficiency and sustainability led us to Brian Fuentes of Fuentesdesign Architecture. 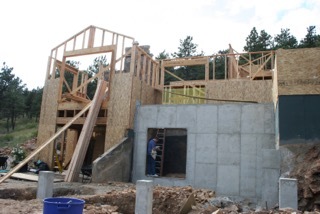 He had been refurbishing houses according to his Passivhaus training thoughout the Boulder, CO area for ten years, and he had been getting many requests for proposals due to the need for rebuilding after the Northern Colorado flood of Sept. 12, 2013. 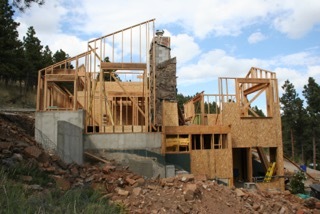 So we felt lucky when he decided to take on scraping and rebuilding our home to net zero standards. 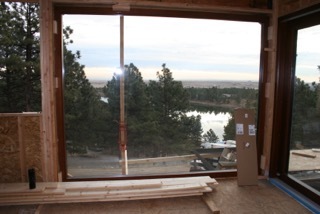 We knew we wanted to take advantage of our dramatic views of Allens Lake and the eastern plains of Colorado, and to let the outdoors in without compromising our netzero goal. We were delighted to learn about Zola windows, and incorporated many floor-to-ceiling windows including a 16 foot sliding door. 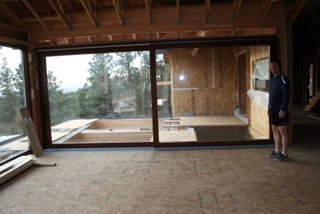 All the windows are triple pane and highly efficient, providing natural light to all living spaces. Brian led us on an exciting path of discovery and design, including a very tight envelope, a ground source heatpump leveraging three geothermal wells for heating cooling and domestic water heat. We leveraged a variety of insulation layers, a high-impact/wind resistent efficient roof, energy efficient appliances, water efficient low-flow toilets and fixtures, and beautiful finishes featuring sustainbly sourced acacia hardwood floors, natural fiber carpets, LED lighting throughout, and beetle-killed pine ceilings. In addition, the garage includes a 220V outlet for EV charging (when we get one!). 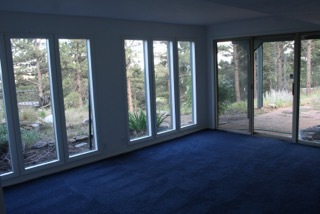 We also reduced our own square footage while maintaining our property value by converting the basement into a separate efficiency-style apartment with an amazing view to be used as a rental or for an aging parent or caretaker. We decided to include a larger solar array than strictly needed, so we feel better about our use of appliances, including a hot tub and steam shower! The result is stunning. We relish each sunrise, the bright open spaces, the quiet interior, and the consistent draft-free year-round comfortable temperatures. 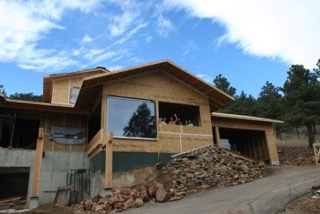 Consequently, we hope that our home can be a model for other net zero homes in the state of Colorado and elsewhere. 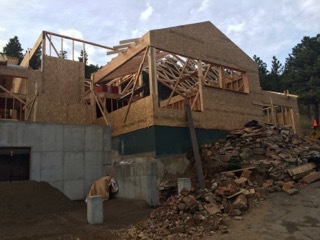 Over existing garage slab was a vapor barrier followed by 12" EPS then conventional floor framing bearing on existing walls, R 52. 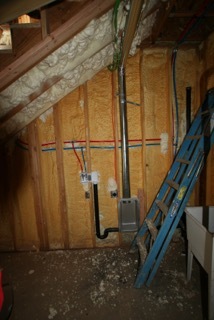 Existing sloped crawlspaces 3" ccsf (R20) over vapor barrier on ground. 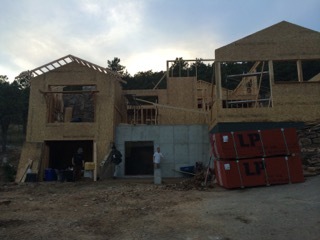 There was an existing basement slab that remained uninsulated of 723 sf. IRC 2012 with Boulder County Amendments, Type VB, not sprinklered. 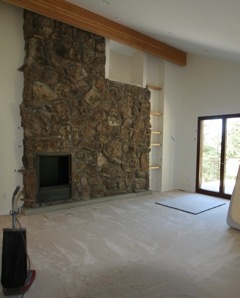 This residential project involved scraping an existing home to the slab-on-grade foundation except for the chimney. 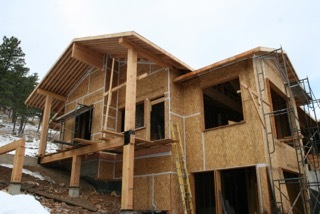 Other than minor foundation repairs, the primary element added was a 624 sq ft garage. 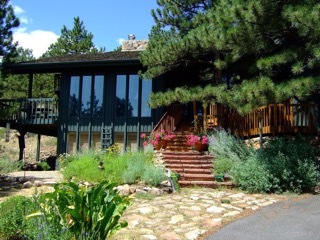 This home is in a rural residential area with 80 homes around 40-acre Allen Lake. 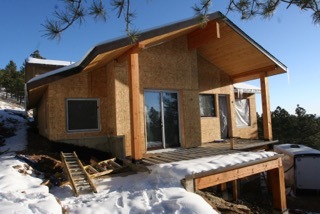 The house is located on a hillside 140 ft above and to the west of the lake. Renewable Energy System Description & Details: The PV system consists of 40 roof-mounted Kyocera KD255GX_LFB2 panels with 4 Fronius IG Plus A 10.0-1 inverters. Source of Annual Production Data Production value was estimated by Namaste Solar, the array installer. 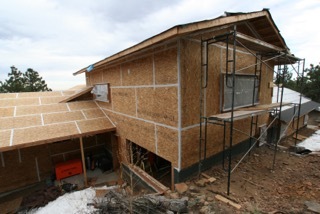 The building envelope involved constructing 2x6 walls with polyiso nailbase over existing slab and Zola windows. 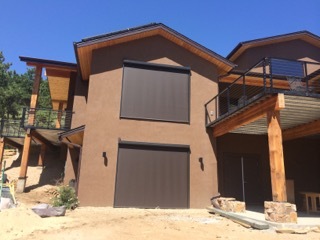 Outer finish is fire retardant stucco. Forced air hard ducted system for heating and cooling; separate ERV duct system with flex duct at termination for noise control. 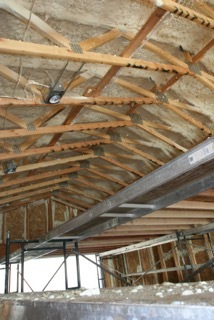 ERV jumper ducts at bedrooms. The existing house 70's with 11 different floor levels and poor to non-existent insulation. 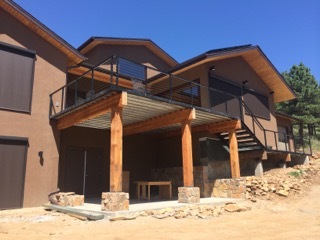 By using existing garage area for a new kitchen and dining area, views of the nearby lake were captured with minimal new excavation and concrete work. The bulk of the house was completely rebuilt on the existing foundation on a single level for accessibility with a spare bedroom in the basement for guests.